Rev. Seth was a member of Second Unitarian Church in Chicago for ten years. While he was there, he served in various capacities—from establishing a team that served meals to the homeless, to being a small group facilitator, as well as helping to train lay worship leaders. He also served on the Committee on Ministries, and the Worship Committee, among others. Rev. Seth’s ministerial formation included a year as a student minister at Peoples Church of Chicago—a dynamic, diverse, urban congregation on Chicago’s North Side. He also spent a summer in Clinical Pastoral Education with The Night Ministry, which serves the homeless population of Chicago, with a focus on LGBTQ youth. While working with the Night Ministry he designed ways to engage the spiritual needs of clients, including a 5–week meditation course that he brought to a local shelter, and a series of spiritual exercises that could be implemented while on the street. Rev. Seth graduated from Loyola University Chicago with a Master of Divinity degree in May of 2013, and received a preliminary ministerial fellowship from the Unitarian Universalist Association’s Ministerial Fellowship Committee in December of 2013. 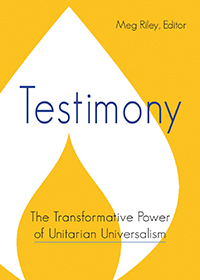 He was ordained to Unitarian Universalist ministry by Peoples Church of Chicago in February of 2015, where he served as Congregational Development Minister from 2014–2015. He also had the pleasure of serving Unitarian Church of Evanston as a sabbatical minister for three months in early 2016.